DJB 2Cute4u font is decorative font which is designed by Darcy Baldwin Fontography. This font is labeled as Various font. DJB 2Cute4u font family has 1 variant. 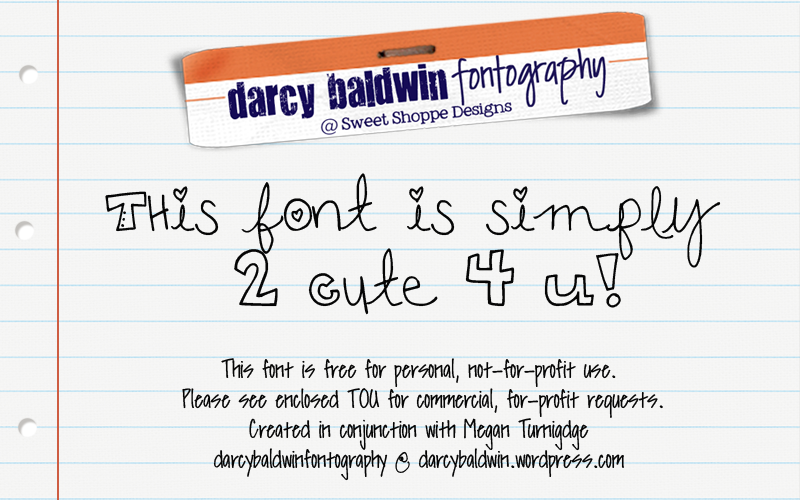 This is a free for personal-use(not-for-profit) font, made in conjunction with Megan Turnidge. A donation of $5.00 to djbfontography@gmail.com will give you a one-time commercial use license. Thanks so much!! DJB 2CUTE4U font is one of DJB 2Cute4u font variant which has Regular style. This font come in ttf format and support 236 glyphs. 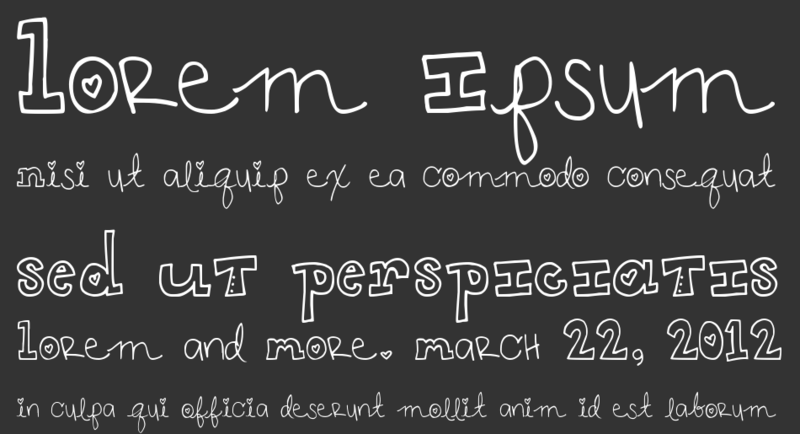 Based on font metric, DJB 2CUTE4U Regular has usweight 400, width 5, and italic angle 0. This font is labeled as .